I originally posted this five years ago this week. Ridiculous things like this happen all the time! I still laugh every time I think about it. Last week Stella got a splinter. She was upstairs playing and to my knowledge, there isn’t anything up there she could actually get a splinter from, especially on the bottom of her foot. It’s wall to wall carpet up there, but however she did it, it happened and thus the drama began. She came downstairs screaming like she had a spear impaled in her foot. I tried to look at it. As soon as I touched her ankle to check out the bottom of her foot, the waterworks were turned way up as well as the volume. I told her I could take it out with the tweezers or I could beat it out with the broom, which did she prefer? She didn’t want either option. She was lying on my bed on the verge of death (or so you would have thought). This girl is so dramatic, I don’t know anyone like that (okay I do). I knew it had to come out so I told her if it didn’t come out it was going to get nasty and she wouldn’t be able to wear pretty shoes. Then I reminded her of the SpongeBob episode when he had the splinter. I asked her if she wanted her foot to look like that. That was the clincher, she agreed to the removal (or should I say first removal attempt). I went and got the tweezers, alcohol, cotton balls and the “splinter pin”. I went back into my room with my two assistants. She wanted me to remove the splinter without using the tweezers, the pin or my hands. That would have been a neat trick. I swabbed up the instruments to the sounds of screams as Maizie dab, dab, dabbed Stella’s eyes with the other cotton balls. I know Maizie was only there to see the agony of someone else (like that same dramatic person). I secured the foot as best I could (she’s a kicker) and cleaned the offending area with alcohol. She wouldn’t even let me get a look at the splinter. If I touched her toe, he screamed. If I tried to look at her foot, she screamed. She refused to lie on her stomach, so she and I were in an awkward position. At this point I had a headache (probably from a heel to the forehead), so the mission was abandoned. The next morning I tried to do a pain free method. I found on the “interwebs” that if you mix baking soda, peroxide, salt and water into a paste and put it on the splinter, it’s supposed to come out on its own. Well let me just start by saying pain free does not mean drama or scream free. I put the goo on her foot and she sat there. It did start to come out the teeniest tiniest bit, but she wouldn’t let me go at it with the tweezers. Every time I tried, I almost got a foot to the face. Now we’re onto day three and it absolutely HAS TO come out, whether she likes it or not. I mixed up more of the goo and had her lie on my bed (on her stomach) and watch TV. I applied the goo and left her there for at least 15 minutes. She kept asking if it was ready and I would say it was going to take a while. When she least suspected it, I pounced. I jumped on her and pinned her down (it was the only way). Oh my gawd, the screaming, the squirming and the kicking. Now, because it had been three days since she got the splinter, her skin had started to grow over. So now I had to try to get that off before I could even attempt to dig out the splinter itself. The problem was I couldn’t hold her foot, pull the skin to expose the splinter and pull it out so I called for Ted to come help. Finally after a few tries, it was out. I released the beast, she immediately checked her foot to make sure we didn’t remove more than necessary, I guess. Unfortunately I was not able to get pictures of the actual removal. Ted doesn’t like to participate in most of my shenanigans and my kids aren’t old enough to take decent pictures; their pictures resemble ones you might find in a camera after a bear attack (if you want blurry pictures of the ceiling or TV shows then give them a call). Since she was “so brave” during her terrible ordeal, Ted told her he would get her something special. So she got a pack of gum all for herself (she did share it with her brother and sister). 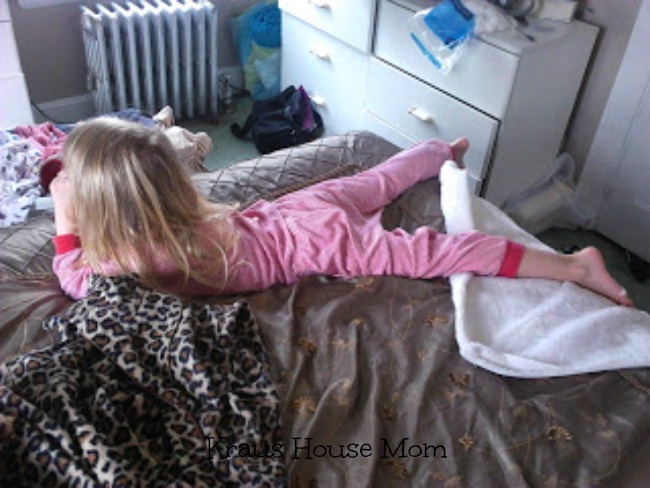 About an hour after it was gone she said to me, “Mommy, my foot feels so much better now.” You don’t say? Now just wait until next week, you can hear about my Car-tastrophe. Splinters are so horrible! Poor little cutie, she suffered a bit. 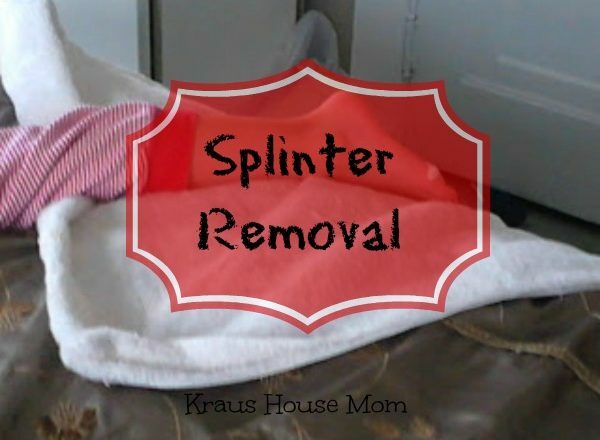 I hate splinters, they are really a pain and just to make the child stay still is another adventure so I am glad you were able to take it out. Great ideas. This reminds me of attempting to get a splinter out of my little sister’s hand one time. She was AWFUL and screamed and kicked and cried and my Mom finally got it out of her. And then she was all “it didn’t even hurt when it was over”. Seriously? LOL!! Kids…so dramatic. Such a cutie pie! My son was the same way when he was little and would get a splinter. It would take the entire family to hold him down to remove the splinter. Glad you finally got it and I wish I had used that homemade remedy to help things along. Splinters are awful, they can really hurt! I am terrible at getting most of them out and at 51 still occasionally have to ask my Dad to help. Oh, I can feel her pain. Have it before and it is horrible and painful. It does hurt when we get a splinter and I don’t blame her for not wanting it out at first. She was very brave and I am glad she shared her gum. Oh man, I hate when one of the kids gets a splinter. It’s like total drama. I will keep this in mind for sure! That was quite the event! I am pretty sure mine would be the exact same way. You crack me up with the commentary. Oh gosh, that sounds like my girls. They used to always get at least one splinter a summer (we have a wood deck by our pool). It always takes my husband and I both working together. This story is awesome. My youngest actually had a splinter the other day and was so brave. I sat her down, grabbed her hand and held it down and used a tweezer. There was a tiny yell but it was out so fast, she didn’t have time to let the drama overtake her. Can you believe neither of my BOYS have ever had a splinter?! I’m totally going to jinx myself by saying that too! Oh no what an ordeal! I recall something similar happening with my son a few summer’s ago (and remember this from the many splinters of my childhood, too). Glad to hear it’s out! I’ve never had a splinter before, but it sounds like a painful experience. But this seems like a great way to remove them. Great post! I also have kids and the drama of splinters is off the charts. I do not know how children get so many. These are some good tips. My son had a stubborn splinter a few weeks ago, I finally got it out with a little ingenuity. We used to dread having splinters removed from our feet when we were growing up. This is such an easier process. Our mother would use needles and push it out. I’m glad she survived. I have a few of those patients here that make me reconsider my mom profession. I’m glad she was rewarded in the end for not knocking mom’s head off. What was your reward? Peace and quiet? My mom used the needle and tweezers method. I still do that on myself when I get a splinter. But I try really hard to avoid splinters. Great story and we have all been there. I am the splinter remover in this house and I have not lost a child or husband yet. I am glad this had a happy ending. Splinters are so tricky! You were so patient about taking it out. I hate splinters as much as I hate paper cuts! I love how you had this routine all worked out! I hate the removal process! no kids here and never had this before! it sounds scary, i just wish i wont experience it , yikes! Awwww…sorry she had to go through this! I’m glad you shared this though, because I have never been able to get a splinter out with tweezers, or pins!!!! This paste method seems much more effective! Oh no haha. Poor thing it is strange how such little things can seem like the end of the world when you are a child. Oh my goodness- splinters are the worst! I HATE removing them from myself let alone from my child! She’s such a cutie! Your daughter is sooo cute. This post is very important. Will be sending this to my sister who is a mom now. Your daughter is soo cute. Will be sending this post to my sister who is a mom now. This one is very helpful. Oh my gosh, that’s hilarious. Oh, the joy of being a parent. Daughters sure know how to bring the drama. Oh, Splinters! I hate them! My daughter would get them all the time. I think I suffered more than her trying to remove them. Oh my goodness! 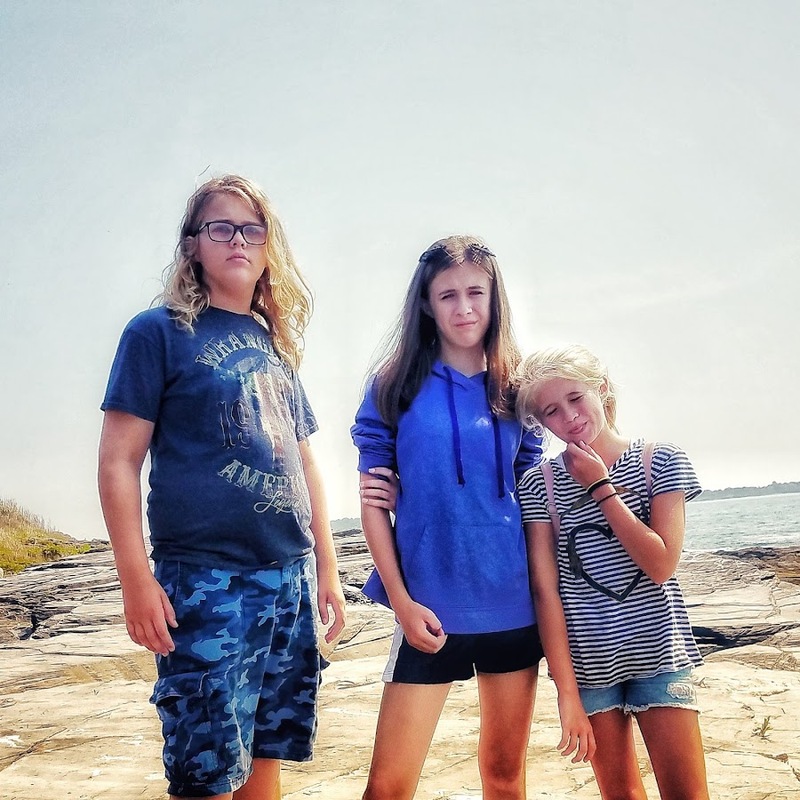 The drama of getting some kids to let you help them. I remember those days. Sounds like you needed an assistant. Haha..such a sweetheart! Love how you’ve shared useful info in a catchy/humorous manner! Children become their worst in such situations and it is indeed a test of patience. Finally, the splinter got its “due”, but a good tip nevertheless for removing splinters. Thanks for the tips. This a very helpful post. Baking soda is so universal! Poor little one , I hate splinters. 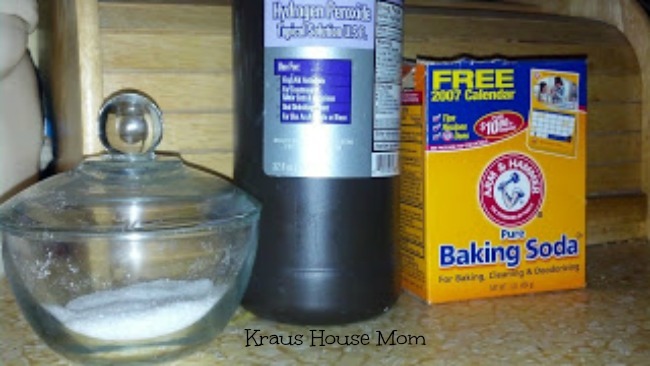 Baking soda is so helpful for everything inside the house. You don’t say? Hahaha. Splinters are the worse feeling you can have, it’s like hang nails. Glad you got it out. I’m crying….this sounds like it was crazy! I had a friend who somehow got a full STICK in between her toes and didn’t even know it, as a kid. 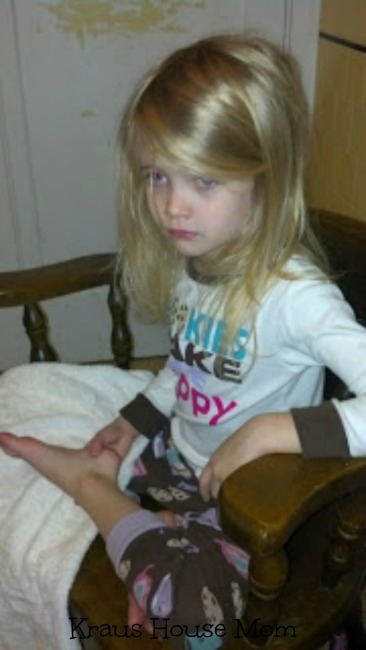 She started having major pains in her foot and they did an xray. The stick showed up and it was nuts. I have had my share of situations like that when my kids were little. OMG. They were major screamfests! I should have known about the “paste” method before. It would have saved my eardrums from shattering. This post brought back so many memories. My childhood was about a splinter a day at my parents’ home. our second floor had been made from wood — the original wood from the time the house was built in the 1890s. Oh… But she is so cute, no matter what! I’m happy you founf out a way to help. Glad,finally the splinter went away.It seems the little one had some difficult time with that on foot.Finally,she could relieved. I am imagining how you did it and the struggle too. Good thing you were able to remove it. Indeed a success story.